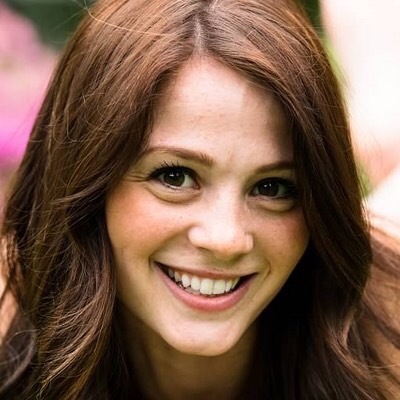 Below you will find a document that one of our clients received from a company that they have never worked with. 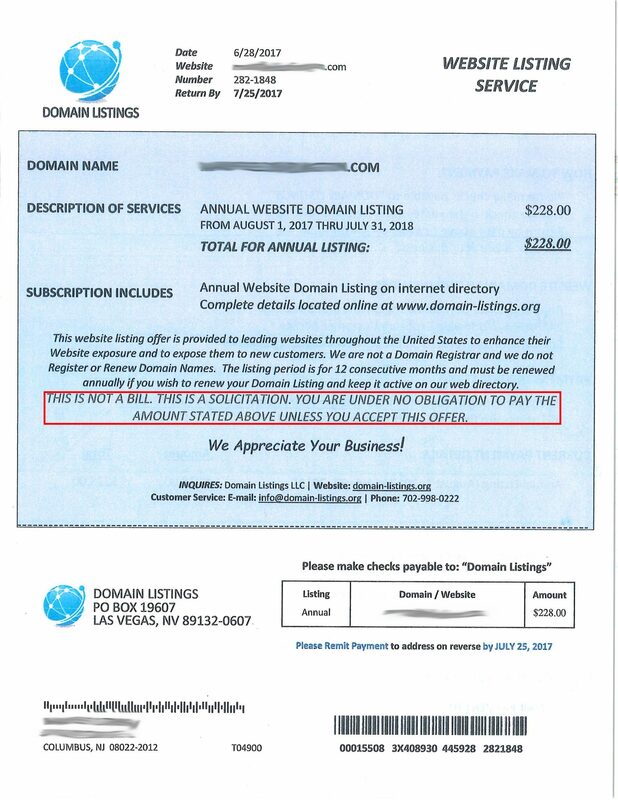 This company “Domain Listings” is soliciting their business by sending this sort of letter. At first glance many people would assume this was their annual hosting/domain renewal service. 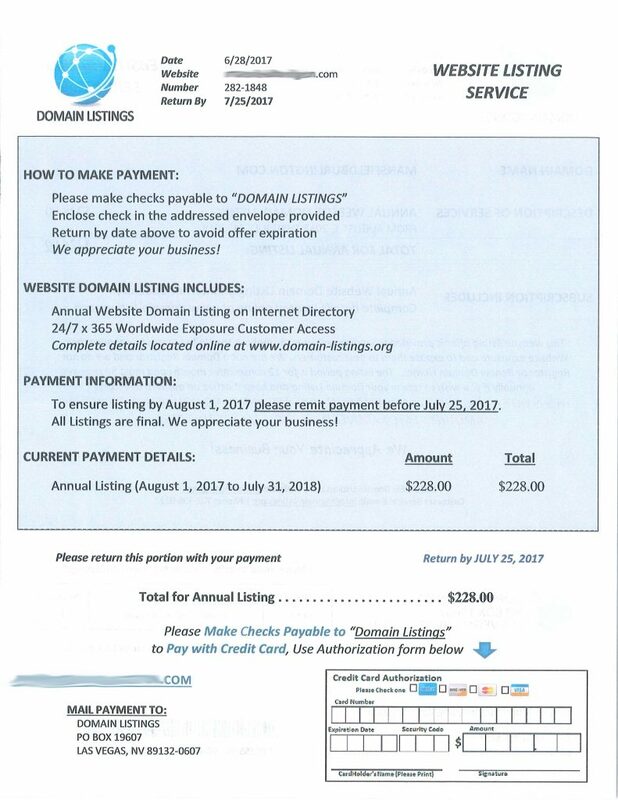 They may get nervous and send the $228 in fear that their domain name will expire—-making their website go down. It is a sneaky way to get people to pay them money. Below you will find highlighted in red the area that says “THIS IS NOT A BILL”. Always be on guard, read the fine print, and if you ever have any questions contact your Hosting and Domain company. We are always helping our clients distinguish scams from actual bills.